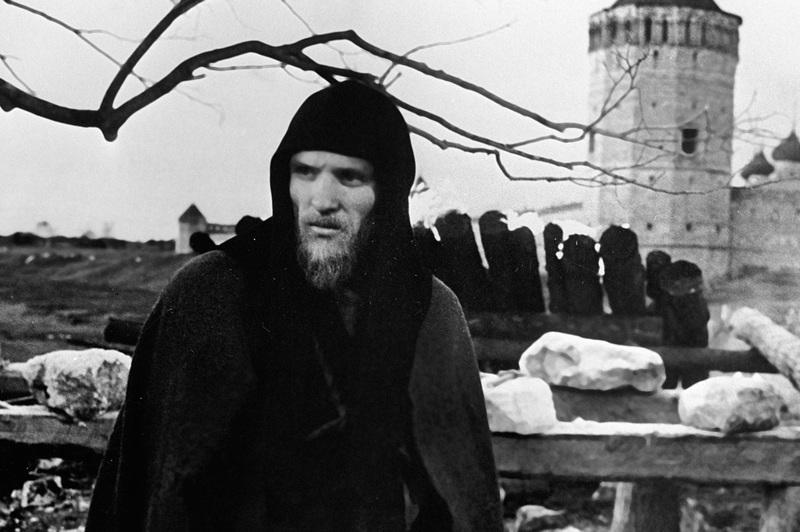 Anatoly Solonitsyn as Andrei Rublev in Andrei Tarkovsky's film. Did you know that the legendary film classic “Battleship Potemkin” was banned in Great Britain? The fear was that those who saw it would be too much influenced by communist ideas. And were you aware that the famous Russian animation “Hedgehog in the Fog” is almost a horror movie? It is hard to imagine that this recognized pinnacle not only of Soviet but of world cinema (on the leading film review aggregator Rotten Tomatoes, the movie has the highest rating – an audience score of 100 percent) was banned in Great Britain until the 1950s and till 1978 had an “X” certificate, normally given to pornographic films. Goebbels said that the film by Sergei Eisenstein, whom The New Yorker described as world cinema's first modernist, was the most powerful propaganda film he had ever seen, adding that he had nearly become a communist after watching it. When Battleship Potemkin was finally released uncut in the UK in 2005, London's Evening Standard wondered: "Who needs ‘Avatar’ in 3D when you can have ‘Battleship Potemkin’?" Apart from the ideological power and daring with which Eisenstein depicted violence, which contemporary viewers found shocking, the director passed on to the next generations his novel approach to editing. Its principles can be traced in Coppola's Godfather and Brian De Palma's The Untouchables, which practically recreated the famous Odessa Steps sequence. Battleship Potemkin has so often been described as the best movie in history (including by Orson Welles, Billy Wilder and other masters of American cinema) that it has become synonymous with innovation and established itself as a benchmark of good taste. This film, made by Mikhail Kalatozov four years after Stalin's death, was released in the U.S. by Warner Brothers in 1960, after it had won a Palme d'Or at the Cannes Film Festival – the only Soviet film to have received that accolade. Film critics were stunned by its overwhelming abhorrence of war, stripped of geographical or political boundaries, and its lack of Stalinist propaganda. Indeed, the story of a woman who decides to leave the husband she does not love and preserve the memory of the man whom she loved and who had been killed in the war was a sincerely told story with a truly universal appeal. To this day, the film tops all Russian lists of the best war films. The Cranes Are Flying also made an impact on the development of cinematic language. Double Oscar-winning cinematographer Haskell Wexler admitted that he had learned everything he knew from the film's director of photography Sergei Urusevsky and even repeated his techniques 20 years on. Andrei Tarkovsky's film about the 15th-century Russian icon painter had a very troubled history. Despite an invitation to show the film at the 1967 Cannes Film Festival, Soviet functionaries refused to submit the film and replaced it with War and Peace. Andrei Rublev was shown at Cannes only three years after it had been completed, right before the end of the festival and not as part of its official program, and still it won the FIPRESCI prize. In 1971, a censored version of the film was released in the USSR, and yet it was seen by nearly three million people. Another version of the film, this time cut 20 minutes short by the Columbia studio for commercial reasons, was released in the U.S. in 1973. The cuts did the film no good and the reviews were lukewarm. In the mid-1990s, Tarkovsky's original, 205-minute-long, version of the film was released on DVD, sourced from a copy bought by Martin Scorsese when he was visiting Russia. That moment marked a new starting point in the film's history. Perhaps due to its subject matter and the time and place it is set in, the film has not aged at all. Cinematographers of different generations and tastes have professed their love for it. For example, Ingmar Bergman said that "no-one moves with such naturalness in the room of dreams" as Tarkovsky. This film adaptation of Leo Tolstoy's novel may have never happened had it not been for the U.S. version directed by King Vidor that was shown in the USSR in 1959. It was only then that the shooting of the film, which is unofficially considered the most expensive (relatively) in cinema history, was approved: No Hollywood studio could have afforded a shoot lasting five years and involving 120,000 extras, including regular troops, in its battle scenes. The six-hour-long version of War and Peace, released in two parts, became not only the first Soviet motion picture to receive an Oscar for the best foreign-language film but also the longest. In 1969, when War and Peace was released in the U.S., one of the most influential film critics, Roger Ebert, wrote that the Soviet director had created the best epic film in history, better even than the pinnacle of the genre, Gone with the Wind. The 10-minute animation by Yuriy Norshteyn about a hedgehog who gets lost in the fog while on his way to visit his friend, a bear, is so popular in America that it was even alluded to in a season eight episode of the animated comedy series Family Guy. In it, a porcupine in the fog laughs at Americans who have decided to make porcupine burgers. This dig by the Americans at their own ability to pop-culturally digest any work of art like a hamburger should be given a lot of credit. And the fact that they have made a nod to Hedgehog in the Fog is a credit to the makers of Family Guy and a tribute to the popularity of the Soviet animation. There are numerous research papers written in different languages exploring the philosophical meaning of Norshteyn’s classic: the ideas of existential loneliness and the horror of ordinary things that acquire ominous features when looked at in a certain way. This year, British daily The Telegraph ranked Hedgehog in the Fog No. 19 on its list of the best children’s films. So when Russian parents complain that their children watch “cruel” Hollywood animations, they could be told that kids in the West watch Russian animations. That is to say, one Russian animation and, in its own way, it is quite cruel too.